According to a report by New Frontier Data, medical cannabis sales are forecast to grow to $5.3 billion in 2017, or accounting for 67% of total cannabis sales. By 2025, medical sales in currently legal states are forecast to grow to $13.2 billion and will account for 55% of all sales. Comparatively, adult-use sales in 2017 are forecast to reach $2.6 billion, or rising to $10.9 billion by 2025. This puts emphasis on the state of California, which offers the perfect example of why it is so important to understand trends in consumer behavior. The state’s legal industry is forecast to grow from $2.8 billion in 2017, to $5.6 billion in 2020. AmeriCann Inc. (OTC: ACAN), Corbus Pharmaceuticals Holdings, Inc. (NASDAQ: CRBP), Cara Therapeutics Inc. (NASDAQ: CARA), Zynerba Pharmaceuticals Inc. (NASDAQ: ZYNE), AXIM Biotechnologies, Inc. (OTC: AXIM). 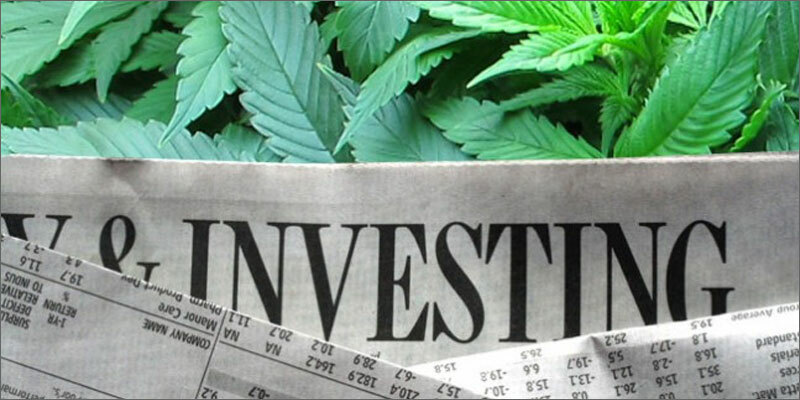 New Frontier also commented on the growth in cannabis investing over the past two years, including how the investment community has responded to the 2016 general elections. Cannabis stocks have seen significant growth in recent years, with the Viridian Cannabis Stock Index growing 236.1% in 2016 alone. “Cannabis stocks significantly outperformed major indexes in 2016, fueled by speculative investment based on anticipated expansion of new legal markets. In the run up to the election, stocks increased by 207.8% and continued to rise, even with an uncertain future under the new administration. While recent comments by the Trump administration did have an initial dampening effect on the market, we have seen continued growth relative to Q4 2016 whereby cannabis stocks are still outperforming other sectors,” said Giadha Aguirre De Carcer, CEO of New Frontier Data. AmeriCann Inc. (OTCQX: ACAN) an Agricultural-Technology company that is developing the next generation of sustainable, state-of-the-art medical cannabis cultivation properties, announced earlier today that it has secured an equity investment commitment of $10,000,000 from Mountain States Capital, LLC (“MSC”). The majority of the investment from MSC will be utilized to develop the first phase of AmeriCann’s flagship project, the Massachusetts Medical Cannabis Center (“MMCC”.) This state-of-the-art cannabis cultivation and processing development project is 47 miles from Boston in the midst of the rapidly growing Massachusetts medical cannabis market. The MMCC project is approved for 1 million square feet, which will be developed in phases and is expected to be one of the most technologically advanced cultivation facilities in the nation. The project’s first phase will consist of a 30,000 square foot greenhouse, laboratory and research center. AmeriCann has agreements with Coastal Compassion, Inc., one of a limited number of licensed operators in the Massachusetts cannabis market. Coastal Compassion, Inc. will lease 100% of the first phase of MMCC upon completion. In addition to funding the initial 30,000 square foot facility, the balance of the equity is expected to be utilized to prepare for projects in other regulated markets.